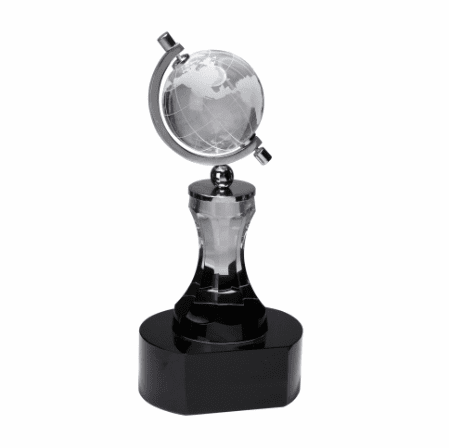 FEATURES/SPECS This spinning crystal globe with black glass pedestal base is a unique, high end corporate gift for all those overachievers out there! 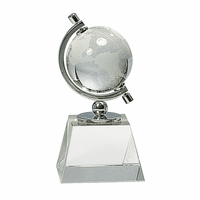 The globe is made of solid crystal with laser etched markings for the continents. It rotates on a polished silver gyro that's attached to a crystal mount. 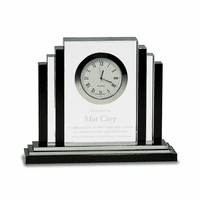 This is mounted on top of a black glass base that can be personalized with an attached laser engraved plate. The plate is black with silver lettering. 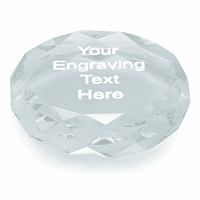 You can have it customized with text and/or a logo. Just check the Personalize It box above to enter your text engraving. Check the Add Logo box to attach your logo. for logo orders, we'll email a proof before finalizing the personalization. 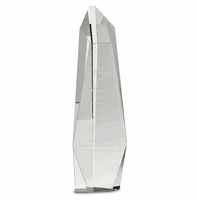 This unique business gift is perfect for international employees, frequent travelers and high achievers alike. Is it magnetized ? How does it spin? It is mounted to the gyro using two bolds that attach to the globe. They are attached in a way that allows the globe to spin.